Mel Russ Sea Fishing Books - (Editor) eligible for Free UK delivery on orders over £19 with Super Saver Delivery - This guide to baits and rigs for sea fishing is designed to improve catch rates and features helpful photographs. "a dead handy little quick refernce book"
The Sea Angler's Guide Book to Top Marks This unique book has been created by the same team which produces Sea Angler magazine, in response to popular demand from their readers. It contains details of almost 180 of the top "marks" for sea fishermen, situated all around the coasts of Britain. Hundreds of colour photographs, specially drawn local area maps and clear text tell you how to find the best local marks, the best tides to fish, the species you can catch, the most suitable baits and tackle to use, and details of the local tackle shop where you can buy bait and get inside information. Carefully researched and bang up-to-date, this handy pocket-sized guide has been long awaited by keen sea anglers. 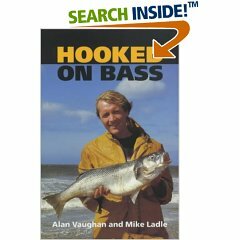 Alan Vaughan, Mike Ladle - Now an established classic on the subject, this revised and updated edition book of Hooked on Bass shows anglers how to catch bass, particularly the bigger fish, from the shore. With excellent photography and clear, detailed diagrams to help illustrate the advice, any angler, beginner or expert, who has caught or would like to catch bass will find endless value in the pages of this book. Martin Ford, Bruce Vaughan - An introduction to two skills - fishing from a boat and fishing from the shore, cataloguing the different fish that can be caught in sea waters. Advice is given on catching different types of fish, equipment, baits and techniques. (John Bailey's Fishing Guides) - A description of more than 120 of the top sea-fishing sites in Britain and Ireland. 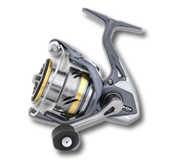 The text describes in detail each fishing site, offering useful tips on equipment and techniques. Expert knowledge of fish of the deep should help turn potential bites into actual catches. The guide book also includes practical information on accommodation, tackle shops and boat hire. Sea fishing is a sport that is at times fraught with danger and unexpected problems. This practical book contains detailed descriptions of the fish that inhabit Britain's coastal areas. Devising suitable baits and seasonal cycles the novice can become an adept seafarer and fisherman.